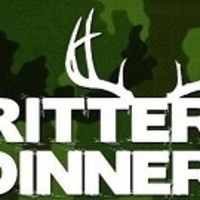 If you are looking for an exhilarating meal, join us for the annual Critter Dinner. Some look toward the groundhog to tell whether spring is coming, the City of Dunbar has been holding it's Critter Dinner since 1974 to let everyone know the weather is breaking. The cooks for the dinner have a reputation of serving anything that walks on four legs, crawls or swims. If it can be boiled, sauteed, smoked or fried, you will find it on the buffet, along with vegetables, breads and drinks. The cost for such a grandiose meal is only 5 items (canned, dry good, cleaning supplies) or a cash donation. Proceeds go to Dunbar Institute Food Pantry.